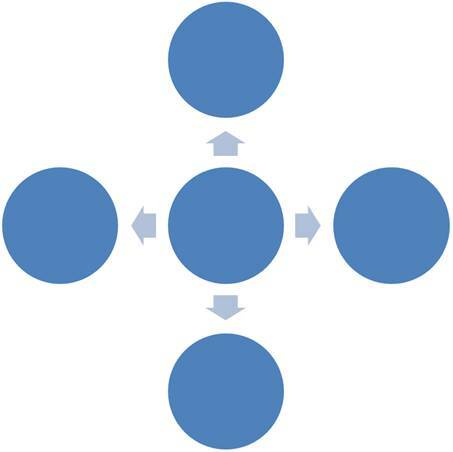 Learn to create five forces model with SmartArt PPT tool. 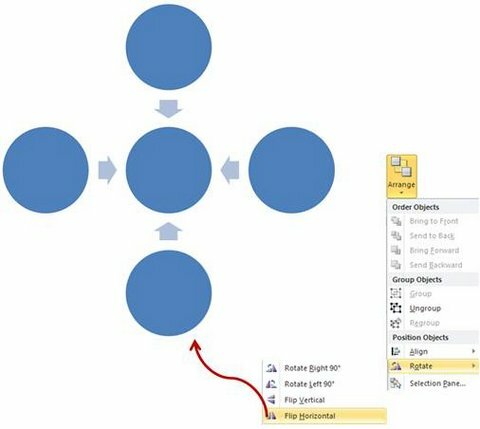 Get inspired to create some interesting variations of the diagram in PowerPoint. We will create the diagram using SmartArt tool. 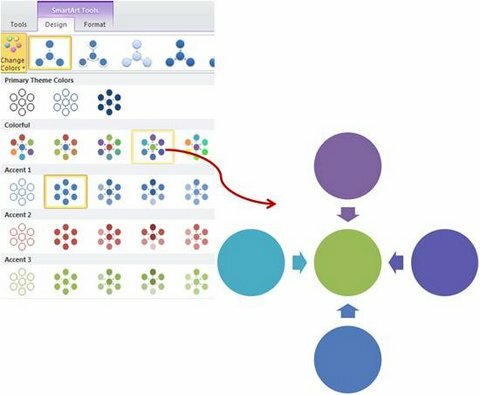 Let us learn to create the diagram in a step by step way. Go to Insert -> SmartArt and select ‘Diverging Radial’ graphic. The graphic you get has arrows diverging from the center. 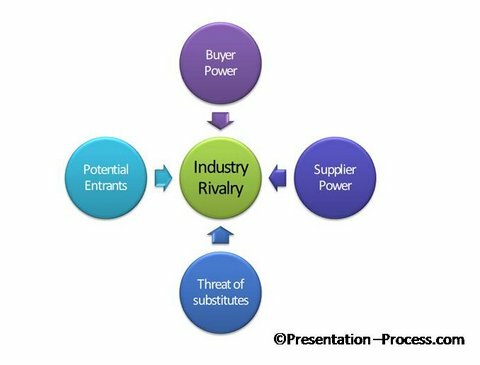 When you add relevant text like – Industry rivalry, Buyer power, Supplier power, Threat of substitutes and Potential entrants – your five factors model diagram gets complete. 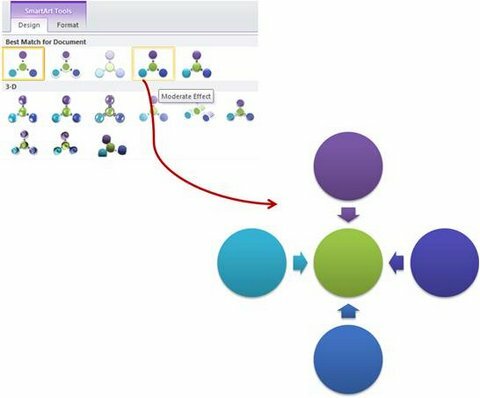 Though the diagram created using SmartArt tool is elegant, it doesn’t look different enough from the usual diagrams created using the tool. 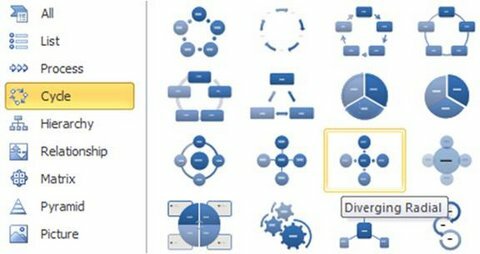 Let us show you some interesting variations of the diagram taken from our ‘PowerPoint charts and diagram templates pack for CEOs – Volume 1’. Why waste time creating diagrams from the scratch, when you have such an elegant solution available off the shelf?